Are you thinking of planning an Austria Trip this year? We have the perfect Austria Trip plans for you ! Our Travel Guides / itineraries for your trip will guide you and provide the information you will need for a complete and amazingly fantastic Austria Trip. Our Travel Guide itineraries take the work out of planning a trip. We provide a planned schedule to follow that will happily guide you on your trip from one recommended attraction to the next with directions and the background information – sightseeing with ease! planning to make the best use of your time. Our very detailed travel itineraries will help you greatly to have a worry-free trip as you travel and discover the beautiful country of Austria with its grand cities and quaint villages steeped in history and culture set in the natural splendor of the Austrian Alps. Our Travel Guide / itineraries are an incredible value and price that gives you a self-guided tour of Austria better than any bus tour ever could. We have the experience and expertise to assist your travel planning, adding enormously to your Austria trip this year ! A travel guide of the city and province of Salzburg that will supply you with the information you need to make the most out of your trip. Information on the top sites of Salzburg and much more. Our guide of Salzburg is an easy to follow travel itinerary with directions and many recommendation for you to enjoy! Are you considering a trip to the fabled Austrian capital of Vienna? Our travel guide of the city and the surrounding province of Lower Austria will provide you with a travel itinerary that will allow you to take in more sites in a well organized manner than you can imagine. Your trip to Vienna couldn’t be any better put together than this itinerary. A 7 day trip to Austria can make for a busy schedule. What to see? where to go? How best to get there? We have made it easy for you to have a spectacular trip with our great travel itinerary ! A travel guide that will make your trip just incredible. There are so many sites , castles, palaces, mountains and great natural and man-made wonders. We want to introduce you this wonderful country and to help you experience what Austria has to offer making your trip a great one ! to the greatest places that the country has to offer for you to have an incredible trip. A 21 day trip to beautiful Austria will be a dream trip for you. 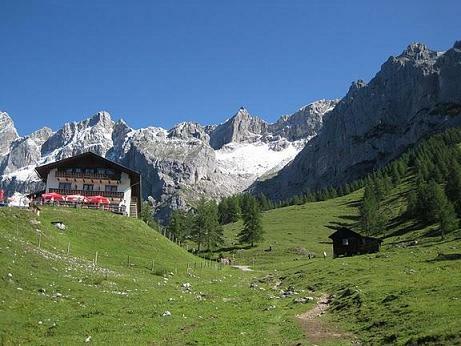 cities and quaint towns, the Alps and special regions of the country. to savour, enjoy and have a remarkable trip.